I am spending the weekend visiting my parents. I inherited my crazy love of animals from them. I tried to snap pictures of my sibling animals but only my brothers would co-operate. 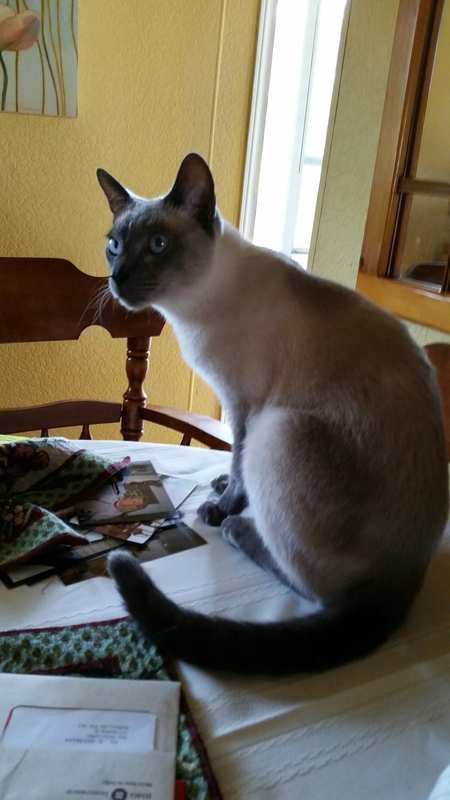 Ricky is a blue point siamese. He is about six years old. This is my brother Buddy. 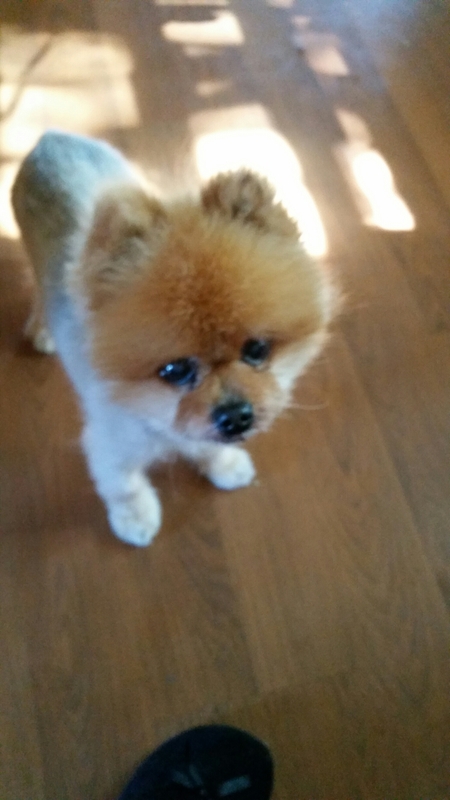 Buddy is a pomeranian with a bad haircut. He is sixteen and has many bald spots so they have given him this haircut rather than a comb over.